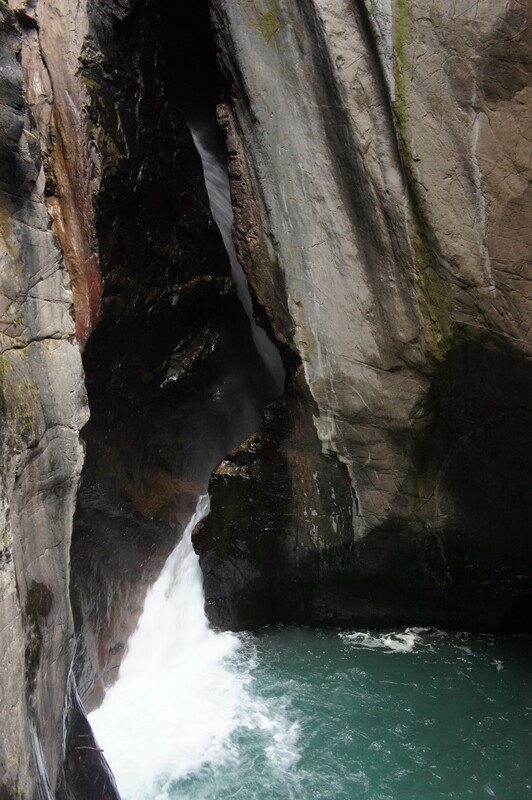 Billed as “Ouray’s slot canyon,” Box Canyon Waterfall and Park is one of the most popular destinations in the area. 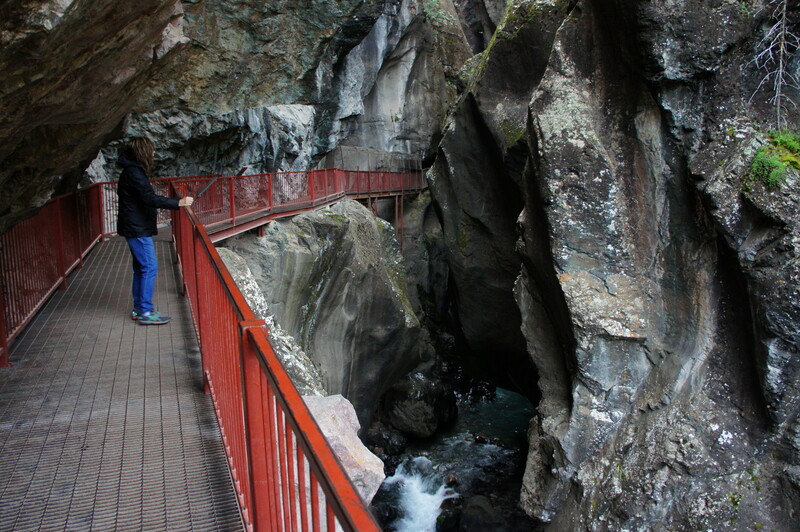 Situated just outside southwest Colorado’s “Switzerland of America,” Box Canyon Falls is concealed in a dark, narrow gorge accessed only by a steel-reinforced walkway and staircase. Visit in spring, or after heavy rain, to see the falls in full force. 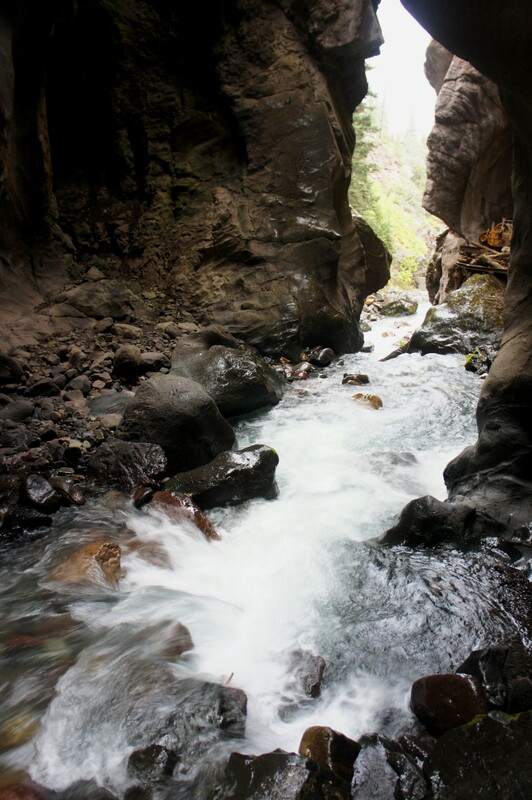 At the foot of the staircase, the trail enters the narrow gorge, carved by Canyon Creek. The box canyon—and falls—owes its existence to the Ouray Fault, where a mix of sedimentary and metamorphic rock layers drop some 200 feet; the canyon has slowly whittled away at the exposed quartzite, here a charcoal color due to the presence of tiny iron oxide flakes. Putting the Mesozoic layers (deposited 252-66 million years ago) of southern Utah to shame, this Precambrian era-rock dates to at least 550 million years ago. Entering the canyon, the metal walkway hugs the left wall for a couple of minutes, then drops down five flights of stairs to reach the canyon bottom. The falls, off to the left, are partly hidden from view by the dark bends and twists of the canyon, though the thunderous echo cannot be missed. 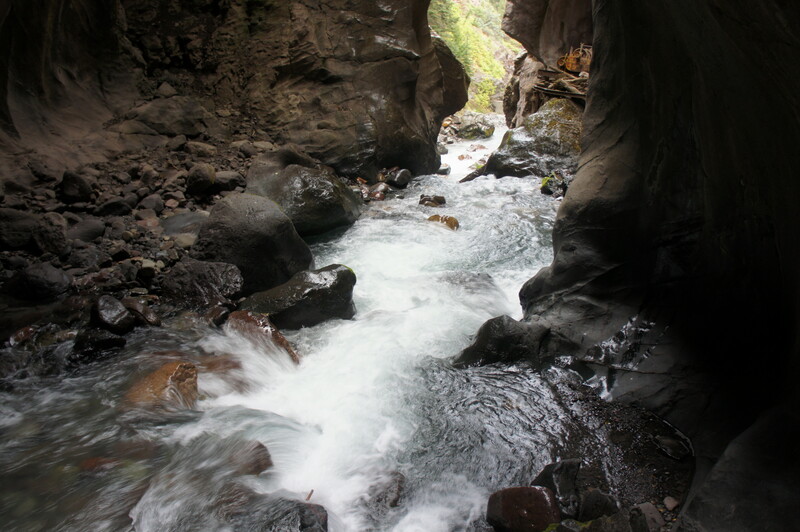 Looking downstream, Canyon Creek squeezes through the narrow chamber, continuing to cascade. This entry was posted in Colorado, Easy Hikes, Uncompahgre National Forest and tagged Box Canon Park, box canyon, Box Canyon Falls, Box Canyon Park, canyon, Colorado, Narrows, Ouray, waterfall. Bookmark the permalink. Short but sweet! Love it!